Stock Photo of a Variety of Pens and Pencils in a Holder. 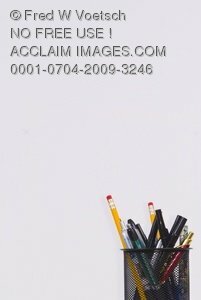 Description: This is a Stock photo of a variety of pens and pencils of all shapes, sizes and colors in a pen holder. This image is taken on a white backround to make space for text or whatever you may need.